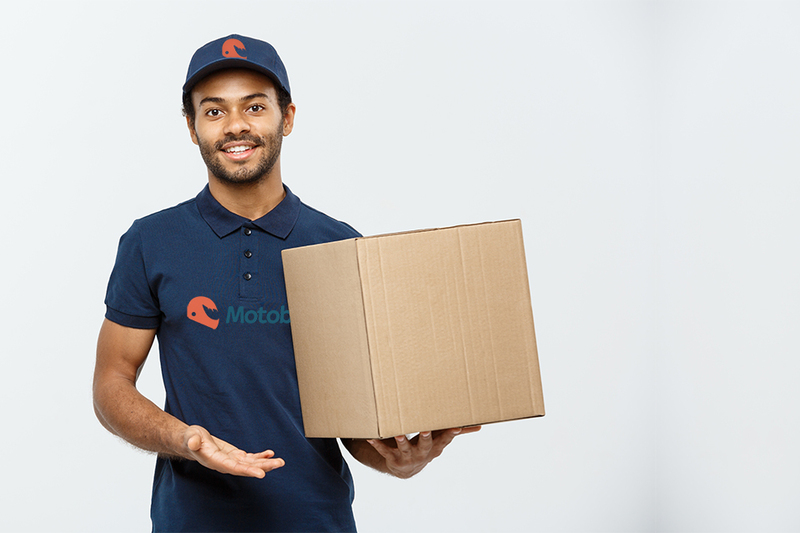 Delivery Concept – Portrait of Happy African American delivery man pointing hand to present a box package. Isolated on Grey studio Background. Copy Space.